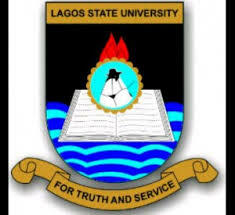 The Lagos State University, LASU Centre for Entrepreneurial Studies [CES] Entrepreneurship Certificate Programmes Admission Form for 2018/2019 Academic Session. The Lagos State University Centre for Entrepreneurial Studies, in the teaching of practical skills entrepreneurship, invites applications from suitably qualified candidates who are desirous of acquiring entrepreneurship skills and knowledge for admission into the Centre’s under-listed Entrepreneurship Certificate Programmes for the 2018/2019 Academic Session. These programmes are more of an on-hand practical programmes than classroom lecture mode. The Centre for Entrepreneurial Studies requires at least four (4) O’ Level passes credit including English Language at the Ordinary Level (GCE, WASC, SSCE, NECO and NABTEB) for all programmes. Application forms for all programmes should be submitted on-line and a copy of the e-e-Registration slip printed out by the applicant. Please include your e-mail address and phone number on the form. Phone No: 08034466021. Phone No: 08080706949.